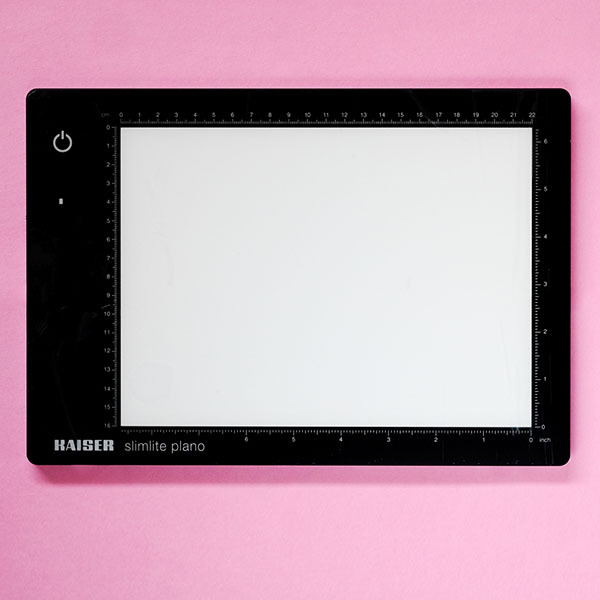 This Kaiser Slimlight Plano LED Lightbox is perfect for viewing your slides and negatives at home. Super flat, it features a dimmable daylight light source. It also has a built-in rechargeable battery. The uniform and colour accurate illumination is ideal for viewing negatives. It is also perfect when scanning film with a digital camera. 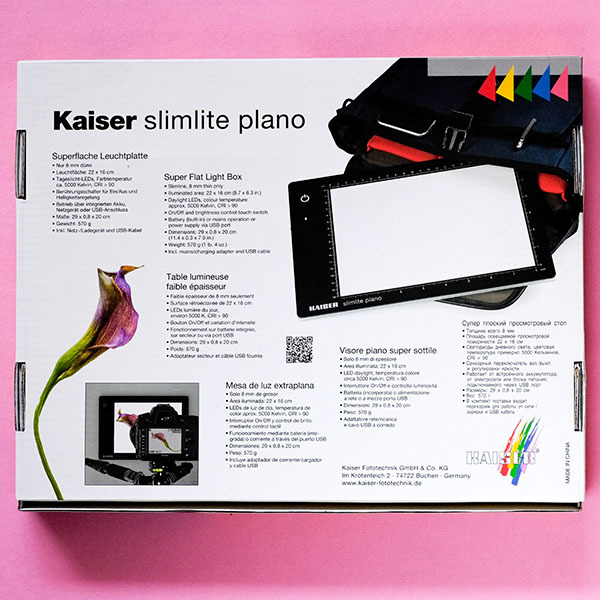 This Kaiser Slimlite Plano LED Lightbox is perfect for viewing your slides and negatives at home. Super flat, it features a dimmable daylight light source. It also has a built-in rechargeable battery. The uniform and colour accurate illumination is ideal for viewing negatives. It is also perfect when scanning film with a digital camera. The 5000 Kelvin colour temperature in connection with an 88 CRI colour rendition index provides for precise colour rendition for inspection and photographic reproduction of originals. 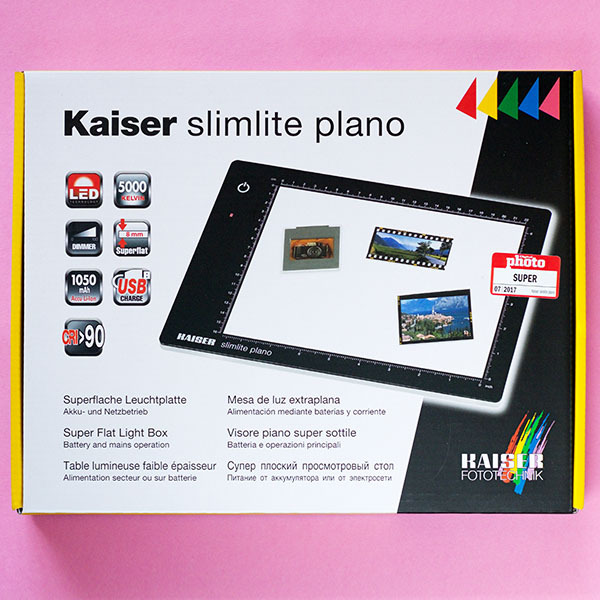 Additionally, Kaiser Slimlite Plano LED Lightbox is flat and compact, making it easy use and convenient to store. At 8mm high, Kaiser’s new light boxes are not boxes anymore. Charging of the battery is by USB cable using a computer or power bank. There is no UK mains adaptor/charger included. The illuminated area is 22 x 16 cm. Have a look at the other Darkroom Equipment we have in stock.